If I were to make one of these hats again, I'd make the ears more pointed, the whiskers more evenly spaced and use a nicer yarn (rather than rushing to the shop and picking the ONLY yarn which was available locally in red, white and black and which is horrible *shudder* - already looking fluffy on some areas of the mitts and not great to work with) but you live and learn, and frankly I don't think Little Miss is worried about any of these things. I'd definitely recommend the pattern, which is free. The improvised mitts were knitted up in about an hour and a half out of the yarn left from the hat. My friend Anna, who is learning to knit, asked me to post the instructions for her to make some, so here goes. These will fit approximately 2 to 5 year old hands, but can be easily made bigger or smaller by adjusting the number of stitches (or using different sized yarn/needles). Using Chunky yarn and 6mm circular needles cast on 24 stitches and join (without twisting) to knit in the round. If necessary, place a marker so you can identify the beginning of each round. Cast off. I used Jeny's Surprisingly Stretchy Bind-off so there is no restriction to the finger movement. You can pick up the stitches around the thumb hole if you prefer to have a proper thumb. I didn't do this as I like the option to use them interchangeably as arm-warmers or mitts, depending on the weather and activity. Decorate and adorn as you wish! I actually have ANOTHER finished item too which is part of my Year of Projects. 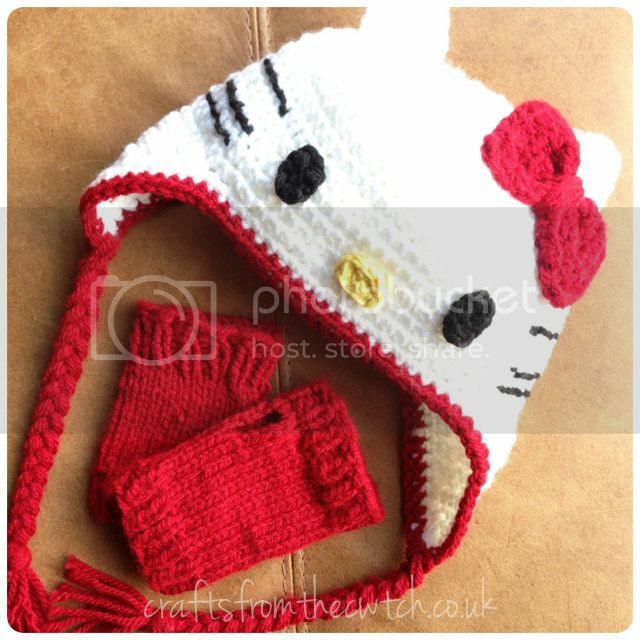 I'll save that for Sunday's update so come back then if you'd like to see the hat I made to wear with my Cwtchy Cable Amrwarmers. 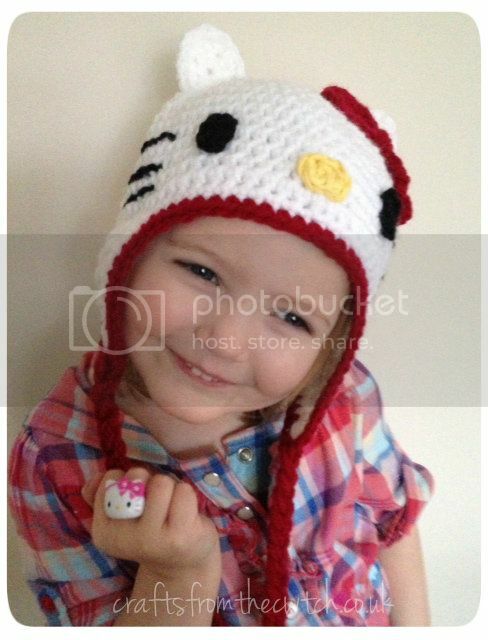 Love the hat - Little Miss seems pretty pleased with it, how cute does she look?! Good to know about the yarn, I had spotted it a while ago and thought I might grab some - now I know not to! adorable adorable model and hat! My girls would love that hat, it's very cute! I do need to think about making some gloves and hats for the coming winter. I've just spent this evening crocheting a little sunhat for a friend's one-year-old, but if I'd seen this first I definitely would have knit this - love it!! Very cute photograph. :-) Happy weekend to you and the family! Adorable hat!! I really like the improvised little mitts too! Your projects could not have turned out better or been more adorable! Super model, too! Lovely hat! Thanks for sharing the mittens pattern. Such an adorable hat! I'm off to see if it can be converted to an adult size. I love the hat and mitts. You're little one is really cute too. Thanks so much for sharing. OMGosh! Adorable and even betta on your little one! Lovely set and model just as! What a pic! Thanks for the pattern for the mitts...just adorable, even if you don't like the yarn...you sure did make it look good!